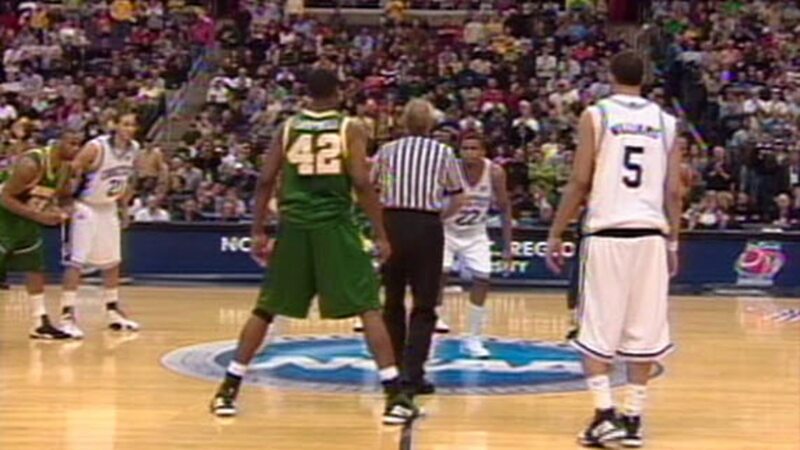 George Mason’s 2006 Final Four run was a breakthrough for team’s outside the power conferences, but not necessarily for the Patriots. No one expected George Mason to make it back. But the hope was the Patriots would at least be consistently relevant. That will be the goal for Loyola-Chicago for the foreseeable future after its Final Four run last April. For Mason, being consistently good had its challenges. The Patriots did change leagues, moving up to the A-10. And the coaching shift from Jim Larranaga to Paul Hewitt wasn’t a long-term solution after the first two seasons in the A-10 ended with just four wins in each. Dave Paulsen was comfortable at Bucknell. He could have stayed in the Patriot League and been just fine, competing near the top every season. But the drive inside and the potential in the A-10 was an enticement he couldn’t resist. Now, in year four, Mason is on the verge of the breakthrough it has longed for again a decade later. Paulsen was the beneficiary of good timing. The school was prepared for an infrastructure investment. A new practice facility was opened a year ago. Major renovation to the locker rooms are underway and will be ready for the first game in November. Charter flights are on the up, and the ability to buy teams for games has occurred. Paulsen led the Patriots to 20 wins in 2016-17, a nine-win turnaround from his first season. Last season, the Patriots finished fifth in the A-10 at 9-9. This season, the expectation, with the return of Otis Livingston II, is to win the A-10. Livingston and Paulsen said the Patriots will be better offensively, have more depth and experience. Virginia transfer Jared Reuter “will give us more inside presence,’’ Paulsen said. Livingston said Reuter will have a breakout year for the Patriots, and his ability to stretch the floor will be huge. As for Livingston, he said his overall understanding of the game has improved. Having more options helps, too. He said he will be more efficient. The Patriots summer trip to Spain didn’t change this group on the court as much as did in the locker room, bringing them closer together. And Paulsen has put the necessary games in front of them to ensure they are ready for the A-10. Our 2018-19 A-10 schedule has been released! Mason was fortunate to draw Cincinnati first in a tournament in Niceville, Fla., ensuring that they will face a team likely to make the NCAA tournament. The other side of the bracket has Baylor and Ole Miss. Paulsen also took a one-way game at Kansas State, a team that returns nearly intact from the Elite Eight. He said he used the money he’s getting from that game to turn around and buy Penn and Vermont for home games — two teams that should compete for league titles in the Ivy and America East. Mason will give itself a chance this season to rekindle those dreams of 12 years ago to make some sort of run — even if it’s just in the A-10 tournament.